So, you've decided to submit your resume to a recruiting firm. Actually, you've decided to submit your resume to our recruiting firm. And, now you want to know what combination of format, fact, and creative writing are going to attract attention to your resume. It probably doesn't surprise you, but, we get asked that question quite a bit. So, we've decided to put together a few ideas and include them on our web page. All for you to use as you see fit. Here, then, are a few things to remember when preparing your resume for a recruiting firm. Your resume will probably be examined by three types of readers once it's received in our office. Each of them will be looking for slightly different information. Initially, a recruiter will read it to see if your skills in any way match the current needs of any of our clients. If they do, we will call you, normally within a day or two, to further discuss your professional experience. If they do not, our office personnel will read your resume again, this time to take key bits of information from your resume and enter it into our candidate database, where it will be available for future candidate searches. And, finally, it is our obvious goal to present your resume to one of our clients, giving you the opportunity to show a potential employer that you have the skills and work experience they desperately need. Given the three possibilities above, there are a few things you can do when preparing your resume that will benefit you in any of the three situations. First, place your contact information at the top of the front page of the resume where it can be easily found. 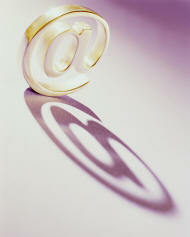 Most candidates provide their phone number, address, and more and more, their e-mail address. Format your resume so that your hardware, software, programming, and technology skills are easy to identify upon a fairly quick perusal of your resume. List them in separate paragraphs, at the beginning or end of your resume, with just those headings, if need be. The body of your resume should be formatted so that your work history is plainly evident. Include your past titles or positions, company names, dates of employment, and a concise description of your work responsibilities for each place of employment or each change in position within a company. At the bottom, list any awards or certifications you consider to be important. And finally, detail any educational accomplishments, whether they be: PhD, MS, BS, BA, AA, or a few pertinent classes. Doing these things will make it easier for us to locate and identify the skills you want us to know about. Make occasional use of bold-facing, underlining, or italics, where they can make a positive contribution to clarity or emphasis. 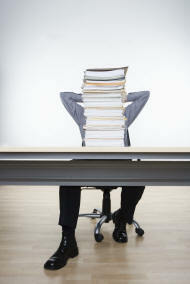 Don't take up a lot of resume space discussing your "Career Objectives" or "Professional Goals". One or two simple, straightforward lines are useful just to make sure everyone is talking about the same job. But, long dissertations can hurt you, clients always think you're describing "some other job". Consider the fact that your resume may get faxed several times during an interview process; from us to client HR, from client HR to client manager, from client manager to client manager's technical gurus. Stay away from very dark resume paper that doesn't fax well; or small, thin fonts that wash out after two reproductions. Doing these things will help ensure that your resume, when presented to one of our clients, serves a useful, positive, informational role. One of the contingencies to plan for when preparing your resume is the possibility that your particular skill set will not match the needs of a job you are applying for. If that possibility becomes reality, you want to be sure that we have as much information as you want us to have for our candidate database. A large percentage of our placements are made with candidates that submitted resumes months prior. Their "skill-codes" had been entered into our database along with their names and contact information, and their data records were "hit" during a Boolean search for skills needed by a particular client. For that reason, try to be complete when listing your hardware, software, programming, and technology skills. Don't tailor the body of your resume, too much, to fit the needs of any one particular job opportunity. We can do that later if the need arises. As most of you are aware, there are hundreds of books in print that describe how best to write a resume. And, in any one given situation, they are probably all effective. The ideas spelled out above are fairly obvious things that have occurred to us over the years, after seeing an awful lot of resumes. Keep in mind that these tips were intended to be used for preparing what is, basically, a resume of introduction, or an unsolicited resume to be presented to a technical recruiting firm; thus, the somewhat general nature of the resume, and the desire to include as many of your technical job skills as you consider up-to-date and applicable. Remember, you are trying to get the attention of the recruiter, first. If you are successful in that endeavor, a good recruiter will help you focus your resume to get the attention of any one of a number of hiring clients. When creating your resume, make your hardware, software, programming, and technology skills easily identifiable. Avoid typing your entire resume in capital letters. You'd be amazed at how many people do this, but, it makes it nearly impossible for data entry personnel to find your job skills. What ends up happening? About a third of your job skill codes get entered into our candidate database; the other two thirds are simply overlooked amidst the sea of large letters. Capital letters serve well to highlight key job skills, but, they do you no good if the whole resume is capitalized. Try to make it easy for someone quickly reading your resume to identify as completely as possible the skills you have listed and described in your resume. Our data entry personnel love to see resumes that have paragraphs or lists labeled HARDWARE, SOFTWARE, PROGRAMMING LANGUAGES, or KEY TECHNOLOGIES, followed by a long list of keywords, i.e. ; IBM 30XX, IBM PC, etc. ; or C, C++, COBOL, VISUAL BASIC, CICS, etc. ; or ASP.NET, ACTIVE SERVER, NETWORK SECURITY, HIPAA, WINDOWS NT, FILENET, EXCHANGE SERVER, ACCESS, etc. List as many of them as you need to to describe your skill base. Doing these things will increase the odds that all of your listed skills will get transferred to our candidate database. The goal of this entire process is to get one of our clients to ask to see your resume. Make sure that's not a problem. If you've followed the tips outlined here, a client will have a clear understanding of your technical skills from reading your resume. But, be aware that your resume conveys messages about some of your other skills as well. Put the information discussed above into a format that is pleasing to the eye. Always have a recent copy of your resume on disk. There are times when we get requests from clients who want to see resumes within the day. Be prepared to e-mail your resume on a moments notice. You'll have the first shot at any opportunities available. Copyright © 2015 Linda Rogers & Associates, Inc. All Rights Reserved.